I am sitting in my office today as a designated day for writing with tears rolling down my face as I meet the most vulnerable part of my self – the part of me that doesn’t trust. The little girl in me that doesn’t believe she is safe, that she cant trust anyone to have her back and that other human beings don’t seem to value integrity or trust on the same level as she does. This is a deep core wounding for me personally and its also a deep wounding of the collective, and its coming up NOW to be reconciled within all of us. What would it look and feel like to be anchored IN pure unconditional trust? Firstly I have to point out that our relationship with trust is an internal one between our self. It may play out with our friends, partners, government leaders/politics, children, colleague’s etc but that is just the reflection of our internal relationship with trust. Trust in an internal job. It continually asks us to deepen the surrender, to connect with the parts of ourselves in pain and soften into the vulnerabilities of being human. To feel safe and grounded in being physical. To continuously tend to our inner world and to build our relationship with self on solid sovereign ground. Not trusting another, or an outside circumstance is a beautiful reminder and signal that within us is an insecurity and place of vulnerability that needs our presence and consciousness. Its our process of reconciliation, unity and awakening taking place within us. The process I call Inner Alchemy. It’s not something to be embarrassed about, shameful about or something you need to fix. The reason we don’t need fixing is because there is nothing wrong with us in the first place! We are in the process of remembering, a deep remembrance of who we really are! Not in a process of fixing or getting to a place of enlightenment. We are ALL already enlightened beings, having a human ride! Everything that is unfolding within us individually and collectively is perfectly on path and purpose. We designed it this way and as things arise to be embraced by our love and consciousness, we awaken and we embody more of our truth without the illusions, filter, programming and conditioning. I believe Trusting another is very attached to control – If I can trust this person it means I can be assured of all outcomes in the future and keep my self safe and protected from pain and trauma. But how do we decide who can be trusted? We use our feelings and intuition right? Yes, but what happens when our ego takes over and doesn’t align with our hearts. We get confused. Confusion compounds the lack of trust. We then tend to project it all onto another which results in confirmation that they can’t be trusted. Our ego is then satisfied, logs it as evidence and pats itself on the back for a job well done! and around the block we go again till next time. To interrupt this cycle, we need to start respecting trust or lack of it as our own personal messenger. Just like any emotion, trust is a messenger from your internal guidance system and higher self. A part of us that is stepping forward, asking to be met with absolute unconditional love. There is no part of you that exists in unity that can feel a lack of anything. It is only the parts of our self that sit in separation that feel pain, loss, lack etc. Getting back to the question – What would it look and feel like to be anchored Into pure unconditional trust? It looks and feels like complete freedom and liberation = GRACE. The freedom to trust life and to trust self. 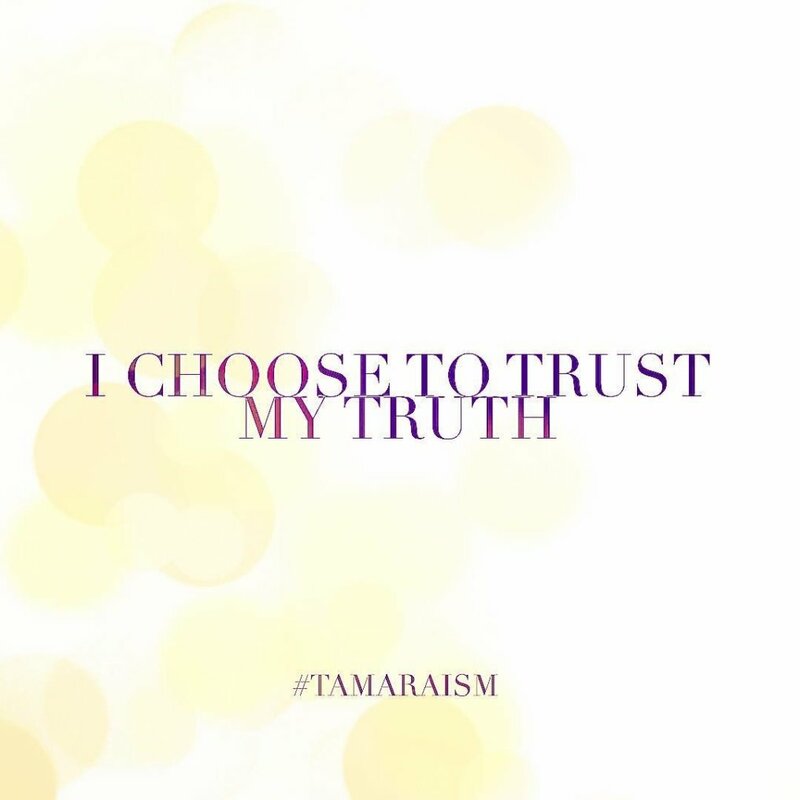 When you feel this, trusting or not trusting another becomes irrelevant, because no matter what life serves up, you know you will be ok. You know you are your only source of unconditional love, trust, acceptance and wisdom. The side effect of this is that your life becomes what you feel, a reflection of your relationship with your self and internal world. So, while I honour my own beautiful and messy tearful process of more reconciliation today and any other day that may arise, I invite you to take the time and presence to pay deep careful loving attention to any part of you that is stepping forward to gift you with a powerful message and calling you IN to meet more of your self. You can trust your self. You can trust the process.